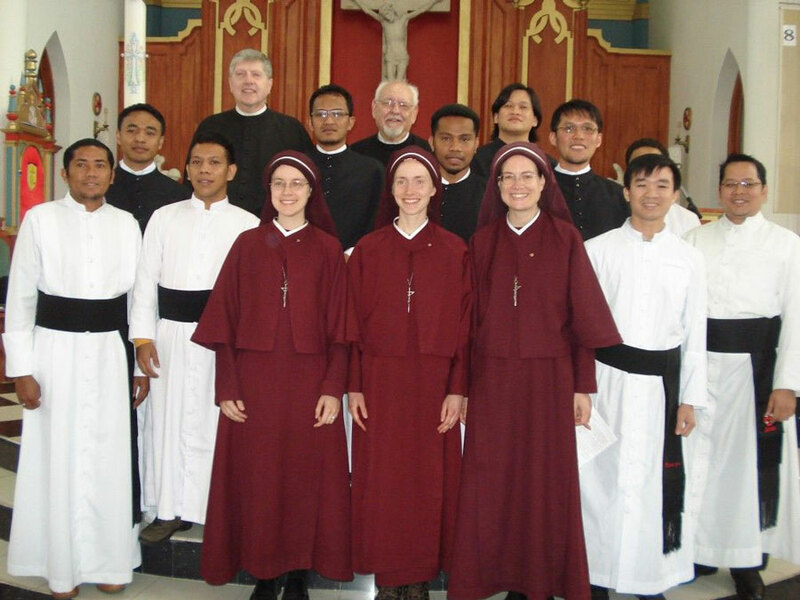 Sr. Faustina Marie became a novice. A member of Sisters in Jesus the Lord always has the above words of her Bridegroom on her heart as she goes about her work. Our Lord desires for all mankind to know Him, follow Him, and accept His mercy and love so that His children may rejoice with Him for all eternity. Do you have a pioneer spirit? We invite women who are interested in religious life to come and join us, to share in our community's exciting work "to bring Jesus to people and people to Jesus" worldwide. After 2000 years there are still many people, even whole nations, who do not know Him or His Holy Church! 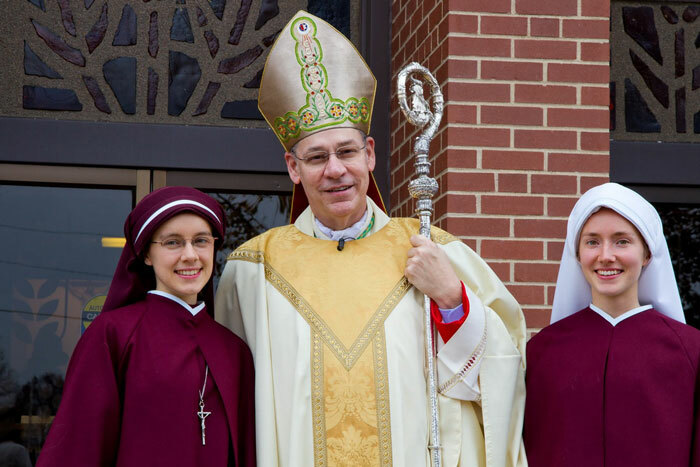 Sisters in Jesus the Lord, a new missionary community, is a Public Association of the Faithful (as of July 31, 2010) in the diocese of Kansas City-St. Joseph, Missouri, under the authority of Bishop James V. Johnston Jr. in the Diocese of Kansas City – St. Joseph. Sisters in Jesus the Lord currently has a sister director, five sisters, two novices, a host of prayer partners, and an army of lay volunteers. under the vows of poverty, chastity, and obedience. devising ways, together with the faithful, of living out Faith's essential work of proclaiming the Good News to all. We have a brother community, the Canons Regular of Jesus the Lord, who are located in Vladivostok, Russia; http://www.vladmission.org. Our three sisters in Russia with some of our brother community. Back row L-R: Father Daniel, CJD, and Father Myron, CJD. Sister Faustina Goedken, CJD, and Sister Maria Stella, CJD. Please pray with us about making our Mother Mary's dream of reviving the Faith in her beloved Russia, as well as in the United States, a reality. New converts given the seed of faith are capable of the great task of starting to build, or in some places, rebuild the Church. The newly restarted Catholic parishes in Russia, where we are working, have warmly welcomed us. As Holy Mother Church advises, "We exhort all evangelizers, whoever they may be, to pray without ceasing to the Holy Spirit with faith and fervor and to let themselves prudently be guided by Him as the decisive inspirer of their plans, their initiatives, and their evangelizing activity" (Evangelii Nuntiandi, 75). 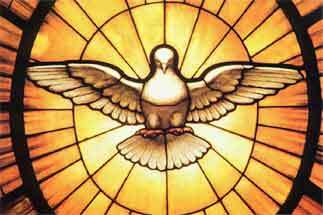 The Holy Spirit will bless those who ask His guidance, making them instruments of evangelization: "Samuel grew up, and the Lord was with him, not permitting any word of his to be without effect" (1 Samuel 3:19).